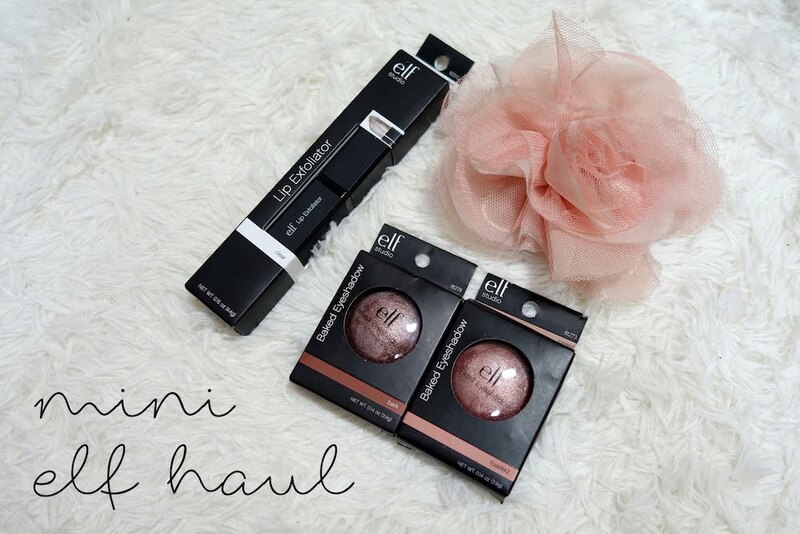 Dropped by a store last month and picked up these 3 items from e.l.f. I got a backup of their lip exfoliator - I highly recommend this stuff. This is cheap and good. I really hate it when lip scrubs are in little pots where you have to dip your fingers in to scoop the product out. It feels extremely unhygienic. So e.l.f made it into a lipstick form and its so much easier and cleaner to exfoliate your lips before makeup. 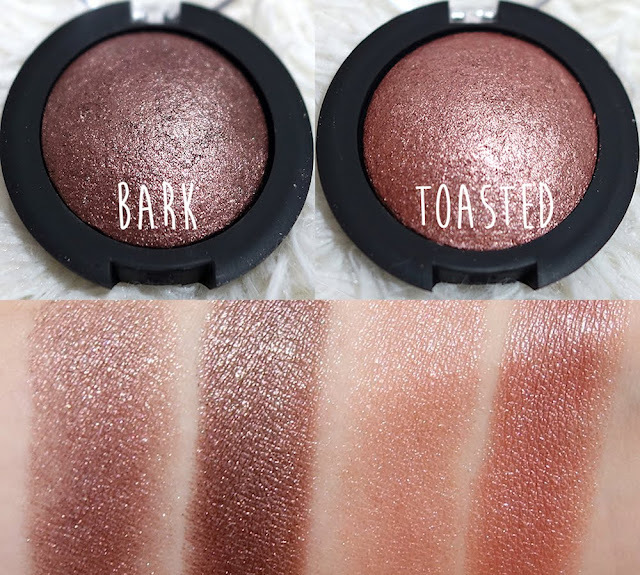 I also picked up two of their baked shadows since I loved their baked highlighters so much. Bark is a dark chocolatey brown shade. 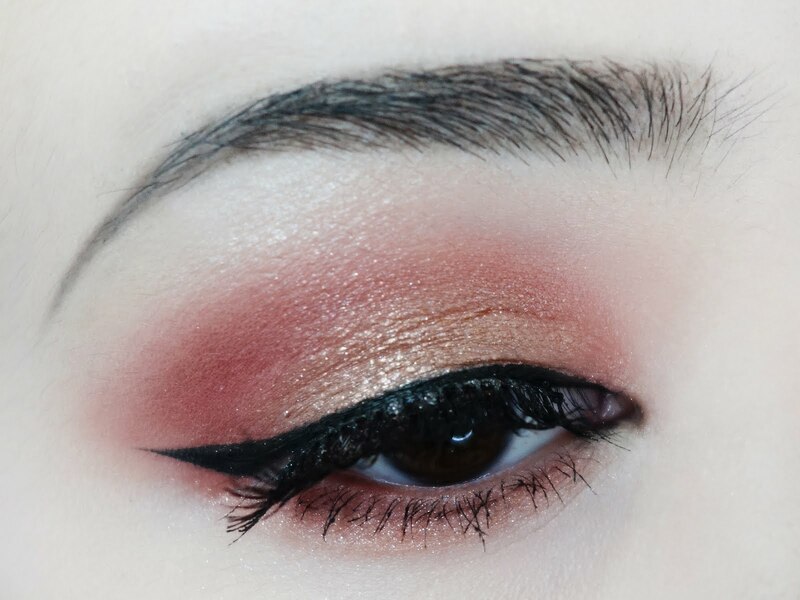 It is quite pigmented for a baked product even when it's not applied wet. 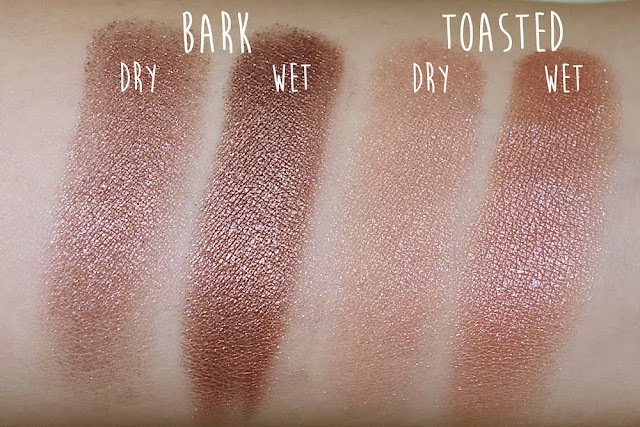 Toasted is quite a popular one, it is a copper brown that reminds me of a rose gold shade. 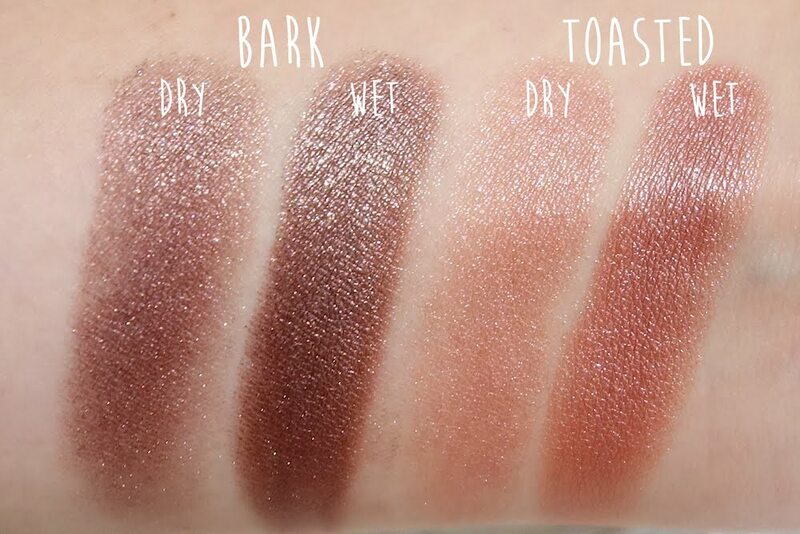 As you can tell from the swatches below, these baked products are recommend to use wet. You can use any makeup fixing spray or I heard eye drops works well too. I used my MAC Fix+ to swatch them and you can tell how much more pigmentation and sheen it has when swatched wet.